"A blend of Grand Cru and Premier Grand Cru wines". 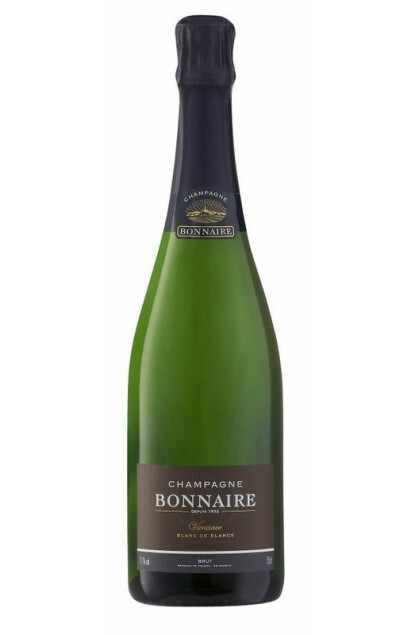 This Champagne is composed exclusively of 100% Blanc de Blancs Chardonnay, a blend of wines from the Cramant Grand Cru and the Bergères-Les-Vertues Premier Cru. The fermentation is mastered and slow in oak barrels, an expression we find at the end of the ageing process in cellars for 5 years. The wine is then bottled then laid on laths in cellars for at least 5 years. The nose is very expressive with notes of vanilla and white flowers. The taste is smooth combined with a wooden finish. To be served around 12°C as a table wine with seafood entrées or main dishes like white meats or with parsley cheeses or even with a chaource.